As I was perusing Reddit today, I came across this amazing photograph, said to be taken in 1899. 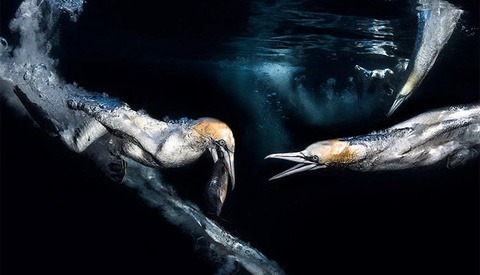 The one thing that is both frustrating and beautiful about Reddit is many times, there is no additional information, which means I had to do a little research about the photograph and find out who the photographer was. 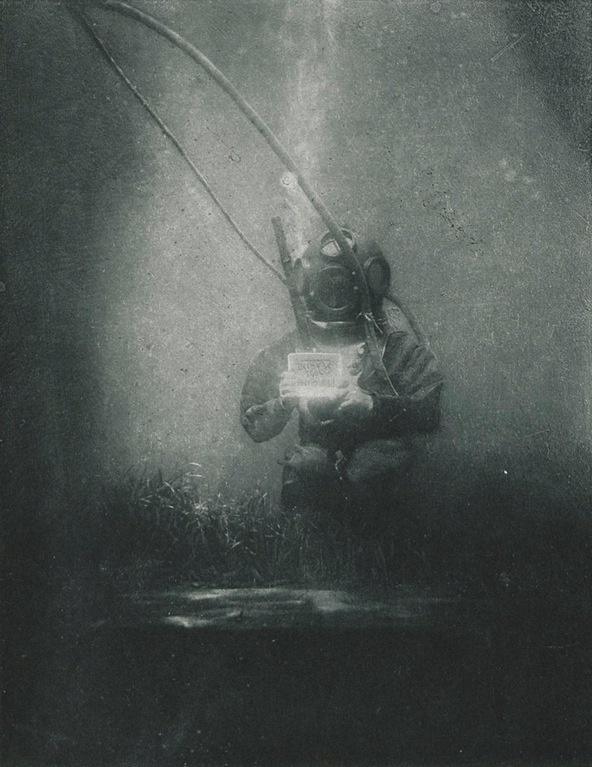 First off, I was trying to wrap my head around the fact that a photographer was able to get a camera underwater that early on — 117 years ago! 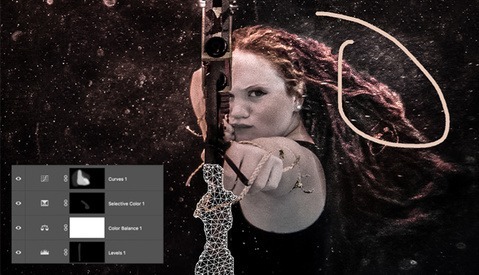 Nowadays, there are many affordable housings, and even cameras that are waterproof up to a certain depth. I was a big fan of the Lifeproof cases for phones, but now you can even spend five bucks and get a waterproof pouch that works just as well (we used them for behind the scenes while filming Joey Wright's new tutorial). 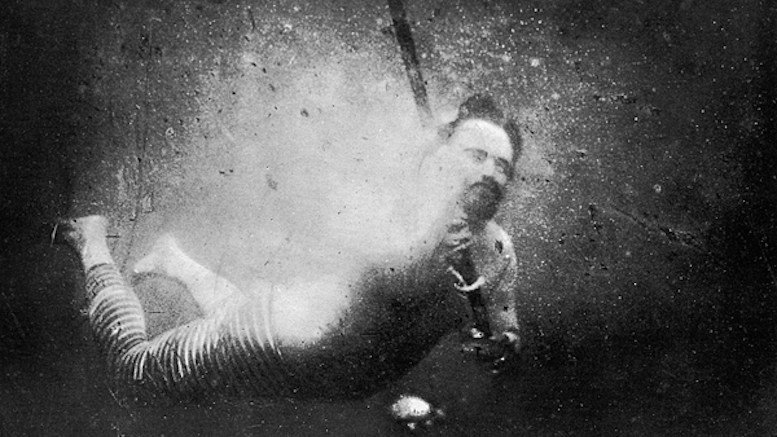 With a little more research, I found out that the photographer was Louis Boutan, and although this image of his wasn't technically the true first image to be taken underwater, it is still one of the earliest. 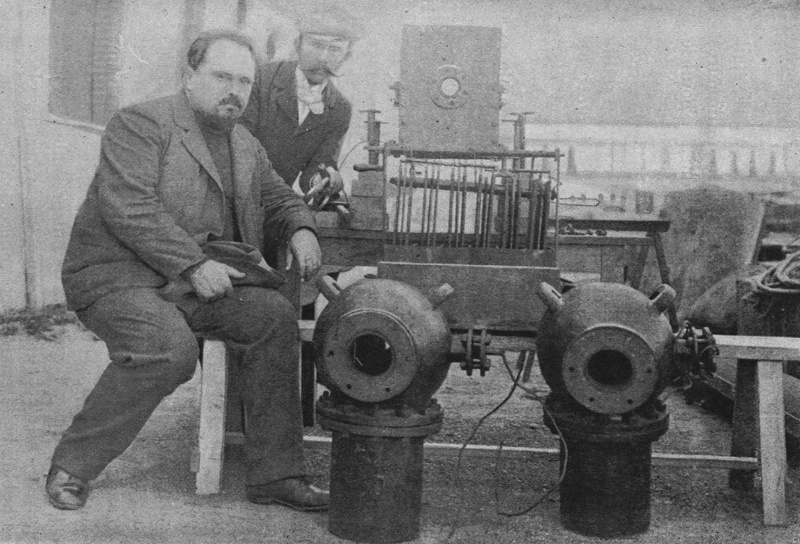 Boutan worked with his brother, Auguste, to build this special underwater camera to allow them to make adjustments without flooding it completely. Because there was no high speed film, many of his exposures lasted for thirty minutes. 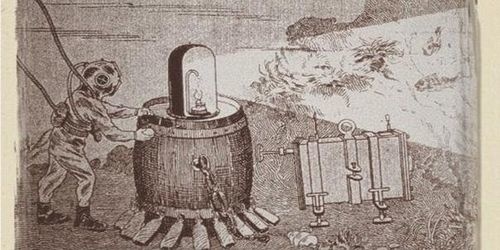 Eventually, he also figured out a way to use flash underwater via oxygen, magnesium, and an electric current. Hello, deadly explosions. What a world we live in today. 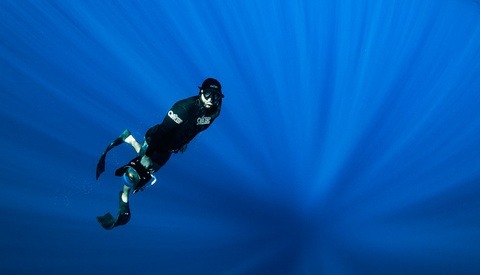 If it wasn't for curious creatives and scientists, many of us might still be scratching our heads on how to get our cameras underwater. Thanks, Mr. Boutan, for your contributions to the photography community! This article kinda makes me want to stuff my 4x5 in a surf housing and see what I can do. 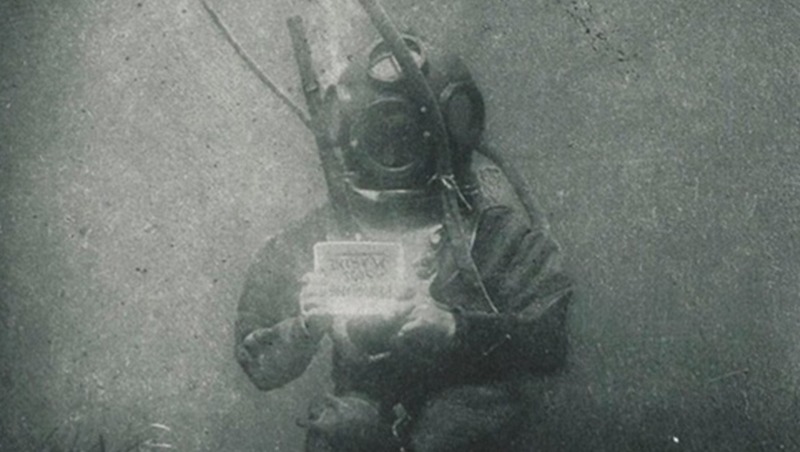 These guys were badass, shooting a 30 minute underwater exposure on 100 year old gear is beyond impressive. Google "Vittorio Sella" if you're into this kinda stuff, he lugged large format gear up some of the tallest mountains on Earth in the early 1900's.